Here are some great Sweet & Salty Holiday Dessert Ideas for easily creating those sweet and salty treats everyone loves, using Himalayan Culinary Salt. Though not just suitable for enhancing Holiday desserts, these quick and easy tips are a great way to spread Holiday cheer at parties and dinners by adding extra flair to ordinary baked goods, candies and other treats! 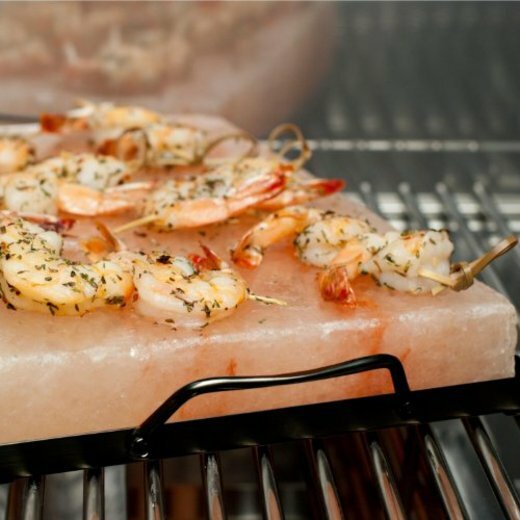 Check out our great ideas for using Himalayan Salt for the Holidays! 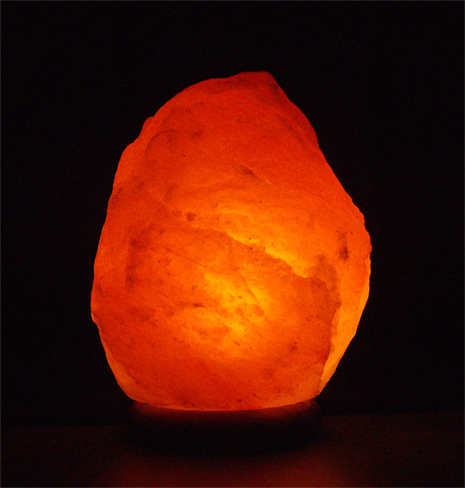 Why Himalayan Salt? Usually all one has to do to discover why Himalayan Salt makes exceptional salty and sweet treat is to take a taste of the salt. You will find that this unprocessed sea salt lacks the harsh “twang” or “sting” of regular table salt or Kosher sea salts. Instead is possesses a subtle yet rich salt flavor which perfectly accents sweet foods, blending a unique salty flavor with the treat. 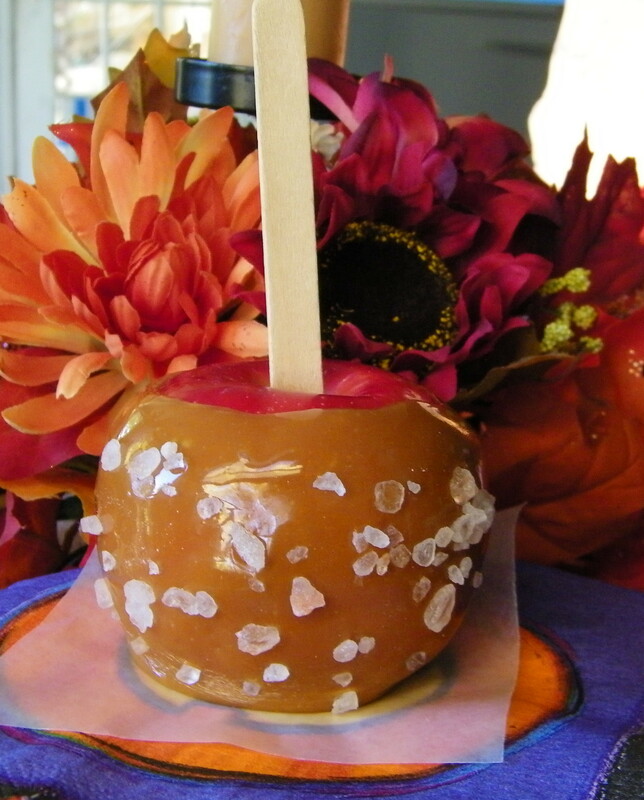 We will start with some really simple ways to transform ordinary baked sweets into a “sweet and salty” sensation! One of the most popular salty and sweet combinations involves chocolate and salt, which can be easily produced by simply sprinkling coarse grain pink salt over brownies, chocolate cake or chocolate cookies. If you would like to add extra Holiday theme flavors, try crushing candy canes and sprinkling a few of the crushed candy pieces, dark chocolate chips or baking discs, and/or caramels around with the salt crystals. For best results sprinkle the salt and candy toppings onto the freshly baked goods before they cool, to allow the salt flavor to blend better with the chocolate. Bake brownies as usual, in a 9″ x 9″ ceramic baking dish, using the “chewy” version of the recipe on the back of the box. In a small bowl or 2 cup measuring cup, mix 1 cup of dark chocolate chips, 1 cup of Caramel Baking chips and 2 tablespoons of salt together. As soon as the brownies are done baking, sprikle the candy and salt mixture over the top of the brownies and allow to cool as usual. Once cool, cut the brownies into squares, serve and enjoy! 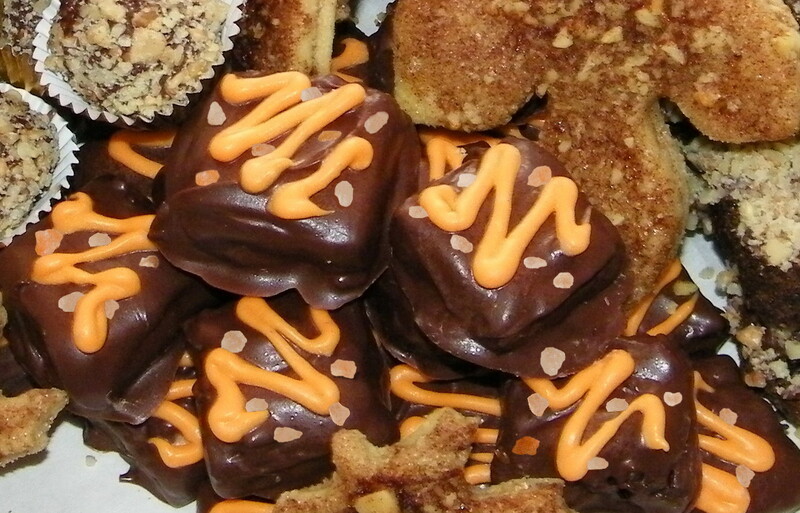 Your Holiday candies can easily be made into Salty & Sweet treats! Salt especially compliments caramels and chocolates; you can add the salt by rolling the partially set candies in coarse grain Himalayan Sea Salt and then allowing them to finish setting, sprinkle the salt over the tops of candies before they become firm, or even create sweet and salty chocolate crunch bits to blend into candy mixes. Join our mailing list and/or keep visiting our blog for more great Himalayan Salt Holiday Recipes and Ideas throughout the Holiday Season! 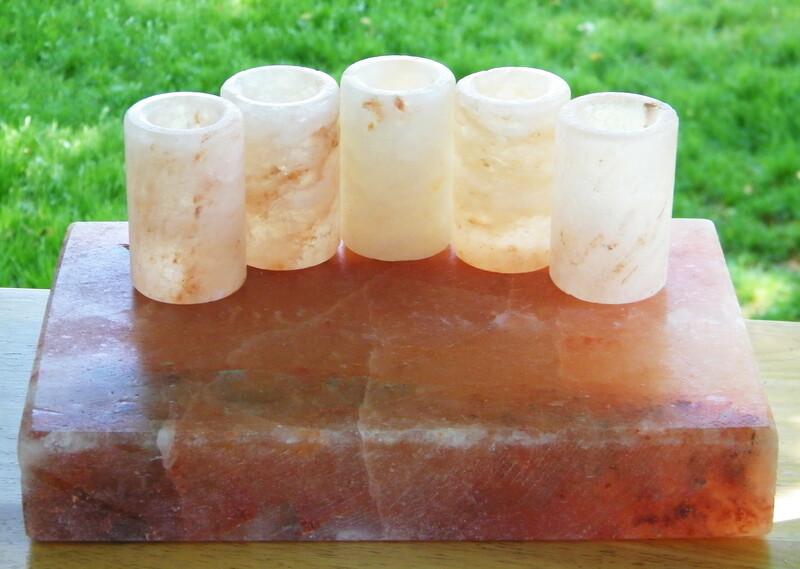 Hand carved from 100% pure Himalayan Salt, these glasses enable you to impress your party guests with the best tasting shot of Tequila they have ever had, or make a lasting impression at your next business deal! 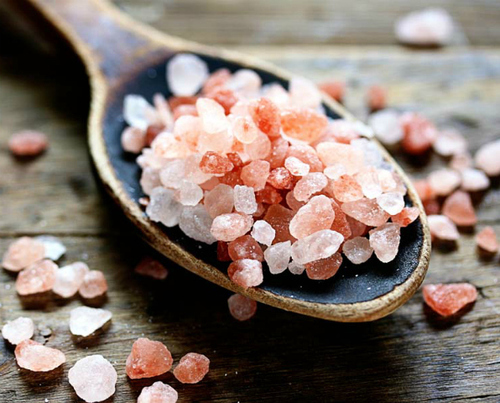 Organic Himalayan Salt comes from deep within the Himalayan mountains; an ancient sea salt that remains rich in minerals which are the source of it’s beautiful pink-peach coloring and unique flavor. Artisans hand craft these glasses to produce one of a kind serving pieces with stunning, natural color striations that also impart a unique, gourmet salt flavor to beverages. Salt Tequila Glasses are naturally anti-bacterial, allowing for easy maintenance as simple as rinsing with water and drying with a towel. This advantage of the salt also makes them safer for sharing drinks at parties. When not in use they create a unique and attractive display on a sideboard, counter top or bar, especially when accompanied by a salt block! 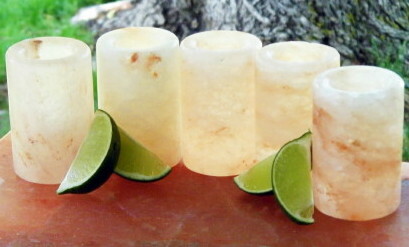 Whats the best part of using Salt Tequila Glasses? Aside from all the compliments you will be given by your guests who are sure to love the flavor and presentation of your drinks, you can also rest easy knowing that you are using a pure, natural, organic salt that contains no anti-caking agents, preservatives, or other additives! 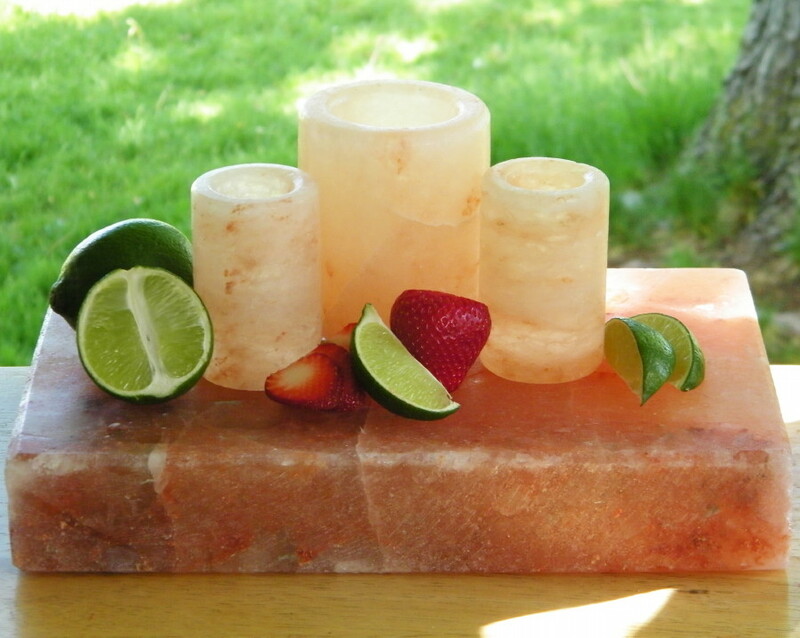 Salt Tequila Glasses continue to quickly gain recognition among world renowned chefs for the rich, gourmet flavor they infuse into beverages and can be enjoyed in trendy night clubs, bars, and restaurants all around the world which also offer foods grilled on Himalayan Salt Blocks. With the Holiday season rapidly approaching, Himalayan culinary salt glasses are a great item to help you get a jump start on planning your festivities, allowing you to easily add this new and unique presentation and flavor option to your fall and winter party menu! Salt Tequila Shot Glasses can also make your holiday shopping easier as they are delightfully unique gifts for friends, family and/or business associates. What is the Salt Block Experience? A culinary experience that rivals fondue? You Bet! Maura Neill of 365Atlanta on CBS Better Mornings Atlanta Reviewed this culinary experience at Park Tavern in Midtown! 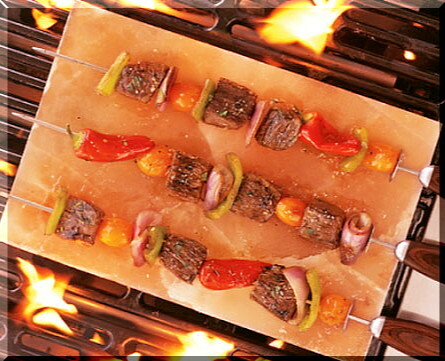 Now you can enjoy the Salt Block Experience in your own home, on your BBQ, or even over an outdoor fire!